Is this a National body? I just picked this up on ebay. It looks like a 14 fret National body...A 30's coverplate fits. But the color seems to be not original, though it looks pro and the inside seems to be painted. Tailblock looks authentic. Opinions appreciated. Thanks. It could be a Dobro reject body, perhaps ? It certainly could be a vintage National body though. 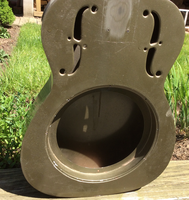 The back dome doesn't look anything like far eastern copies hence why me thinking vintage National or post-war Dobro. I can only see 3 screw holes for thefretboard extension - and was expecting to see five, unless the picture is just to cropped to show the other two ?? Thanks SH. There are 4 screw holes and the left to right spacing is 1 24/64... looking like the spacing on 1934/35 Nationals. No center fifth hole. Was the center hole always drilled and screwed? So the lack of a 5 th hole is curious. Updating this post... just determined the finish is not lacquer. It has subtle metallic sparkle particles...sure looks original...the way it is rusted in. But tnothing in that paint scheme shows up on google...so money is on a very good refin. There is a small piece of solder insude still attached to the seam. No back soldering seam. Did sears issue a 14 fret model? Did any others rebrand and sell nationals? Hey Fred! Not certain but I'm pretty sure the was no Sears 14 fret Duolian. But, National did a 14 fret Duolian around 1936 that had the Sears style coverplate. Don't know how many there were and maybe National just found some leftover Sear covers and decided to use them up? Good find! Are there any others? Definitely not an original finish. The finish here is poor quality as you can see drip/smudges, near the F-hole little holes (close to BOTH F-holes). Still not sure if a Duolian or not. I don't know how much later Dobro bodies differ. Thanks for the comments. Yes I agree that it is a refinish from many years ago. Actually real good...i polished with mild cleaner and there are no imperfections except scratches and dings...probably done by a pro. Dont think there is a way to differentiate a duolian or triolian steel body unless there is some original finish somewhere. The only thing that is puzzling is the 4 fignerboard holes...was expecting 5. There are always good deals on ebay but takes constant watching...i only look at "buy it now" auctions - knowing most are mispriced (usually high) - since once bidding opens there are few good deals. Most likely a Regal RC1, which is no longer in production. Or, better yet, what you have there is a StewMac resonator guitar kit (no neckstick, would have a StewMac bolt-on neck, plus other parts commensurate with what StewMac was selling at the time, which would include a chromed, non-ribbed coverplate that was actually stock on the RC1). The StewMac kit is no longer available, too. Finish appears original to those two products, a gray/green lightly metallic color. These are the only modern guitar bodies manufactured in this style. Two piece deep draw body. More original looking contours on the back when compared too almost all other modern guitars not made by NRP. 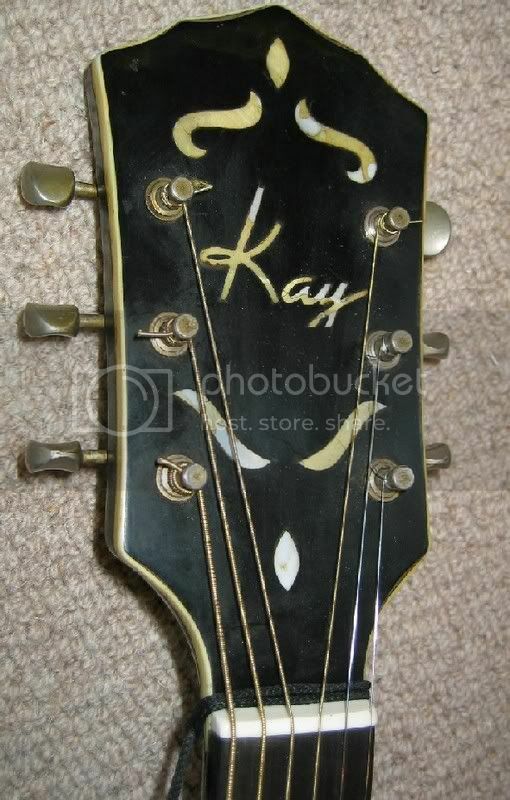 I was never sure where these 14-fret bodies were manufactured and they were the only Regal guitars that used this body. The new RC1 model is different. It no longer uses this body. A complete RC1, in this old style, sells for around $200-$250 on ebay. The general fit and finish is not as nice as the vintage 14-fret bodies. Many have much less attention paid to finishing the soldered edge to a nice contour and have more of a "square", "sharp" feeling to it. Although this body was, in spirit, one of the closest reproductions of a vintage National body, most National/reso fans have no idea that it ever existed. Thanks for the info, Rik. Solves the mystery. It was advertised as a stew mac kit, but I was only aware of the wooden reso kit they once offerred. When was this offerred by stew mac? The body sure has rust spots and chips and internal soldering that could almost pass for pre war, but the weight and gauge of the steel seems heavier than my 30's Nationals. Could they have been made by Valco or using their tooling?. The body was clearly made fir a neck stick with holes pre drilled in the well. The NRP neck stick barely fit in the slot, and I had to trim the face of the stick to get the neck angle. I thought the finish was professional. I will probably find time to string it up in a few weeks and see how it sounds. I don't think these bodies were built in the US. The StewMac and Regal bodies appear to be the same down to the finish. As far as I know, no other brand used this body. Interesting. I have been stewmac customer since '90's dont recall seeing that. Wondering why they would abandon an accurate replica of a product NRP sells for thousands$... i recall having a regal 12 fret duolian and it was also a pretty accurate copy...lighter gauge steel I think. 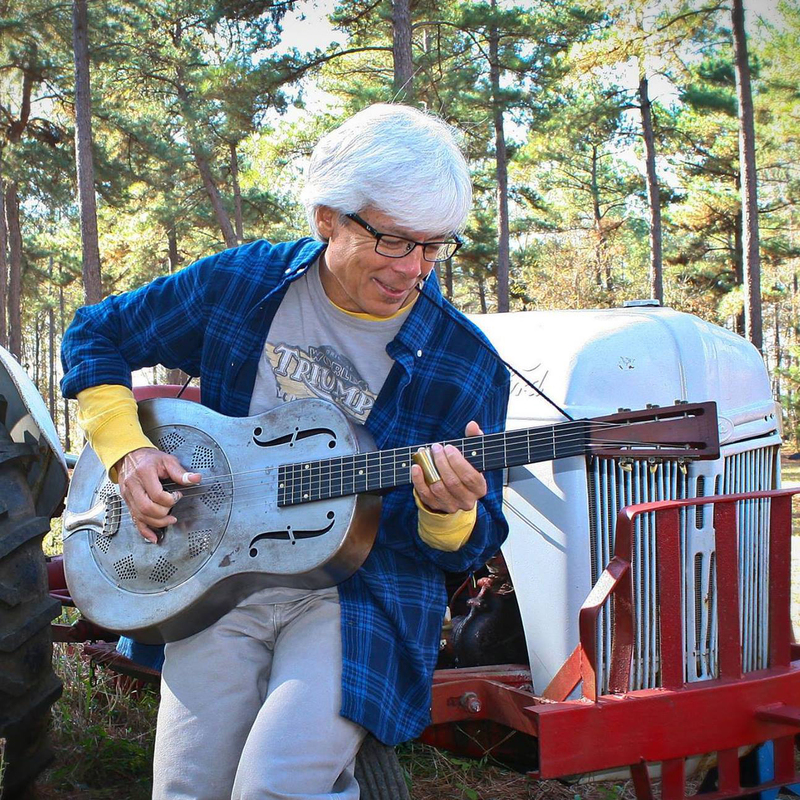 This Gibson Dobro has a body that appears to be similar to the RC1 and Stewmac Duolian. Wonder if all the bodies are from the same supplier? A few years back, an ebay seller had a load of old bodies left over in a factory when either OMI or gibson left it. There were about ten similar to yours, and the rust bucket which I bought. It might be that it was one of those, back on the market.